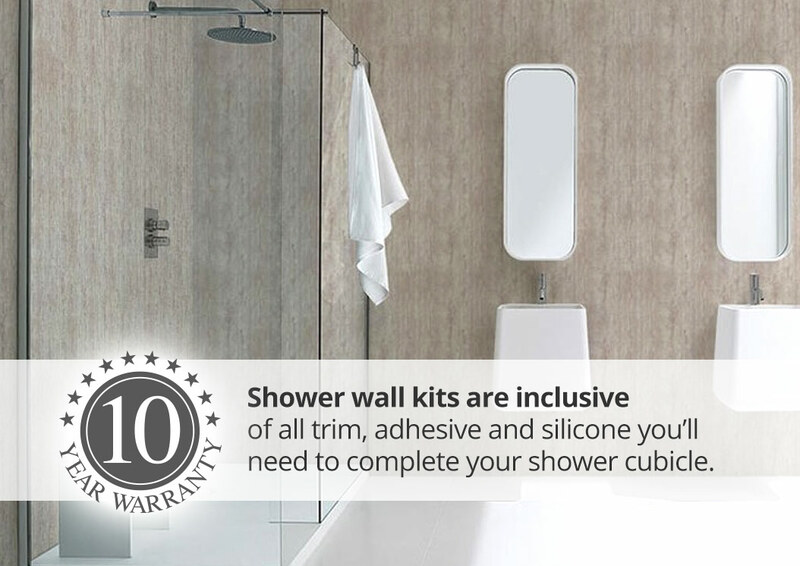 Aquabord Shower Kits contain everything you need to finish a 2 wall or 3 wall shower cubicle up to 1000mm wide, including panels, trim, corners, adhesive and sealant. 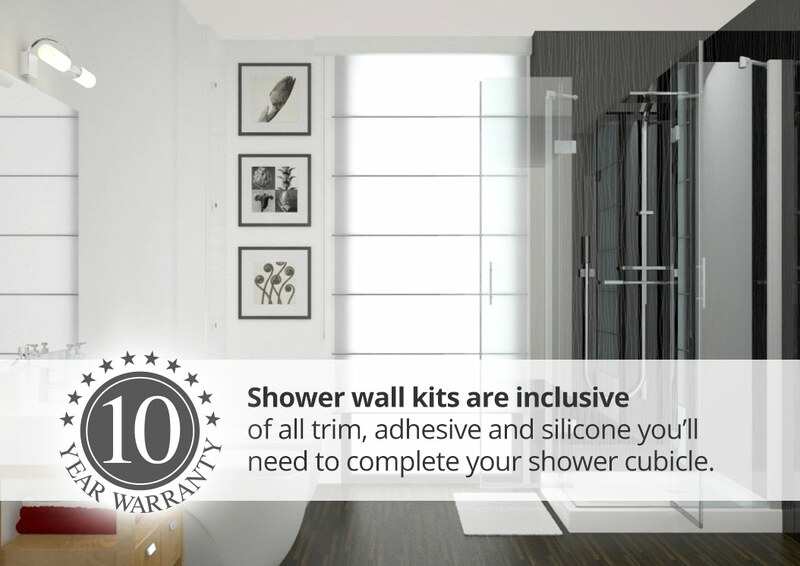 Aquabord panels are exceptionally easy to fit and look great as they have no visible joints, thanks to a watertight, click-together tongue-and- groove system. 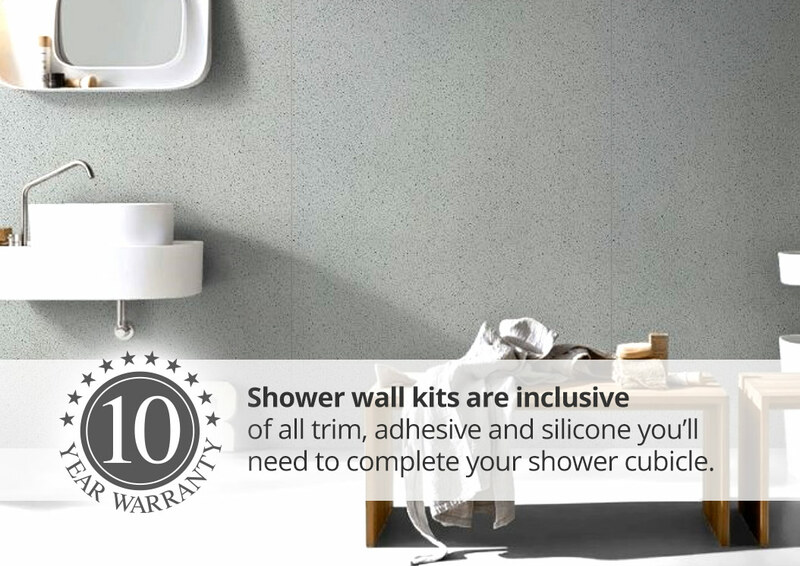 Light in weight yet very hardwearing they are a tough, low-maintenance alternative to wall tiles in showers and bathrooms, and come in 17 different designs including stone, marble, granite, sparkle and white gloss. Cleaning is very easy – simply wipe with a damp cloth. Unlike tiles there is no possibility of chips, cracks or dirty, mouldy grout. 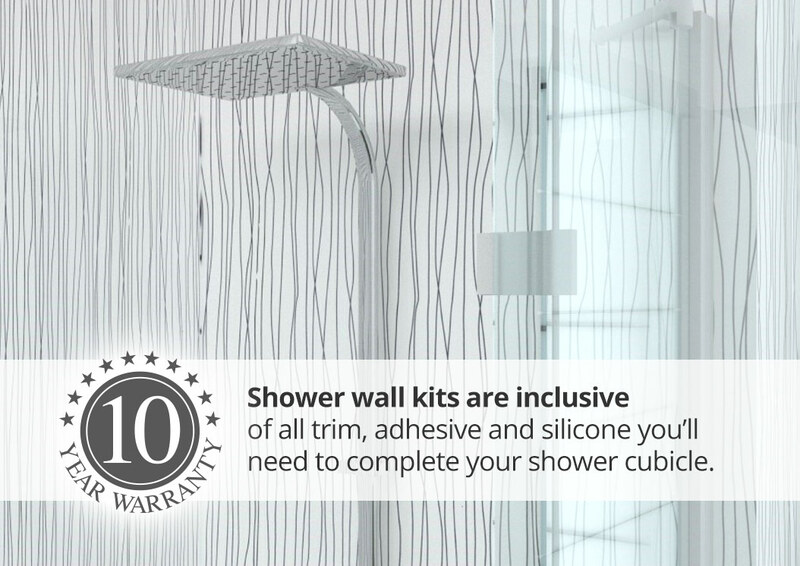 Aquabord Shower Kits are easy to fit by 2 people with basic DIY skills.